Special thanks to Travis Speck for lending me his Brians’ blocker to do the comparison. Check out his YouTube channel below. Blocker History: Simmons 994 Blocker, Warrior Messiah Blocker, Smith 6000 Retro Blocker, Reebok Larceny Pro, Simmons 997, Vaughn 7600, Warrior Ritual G2 Custom Pro. 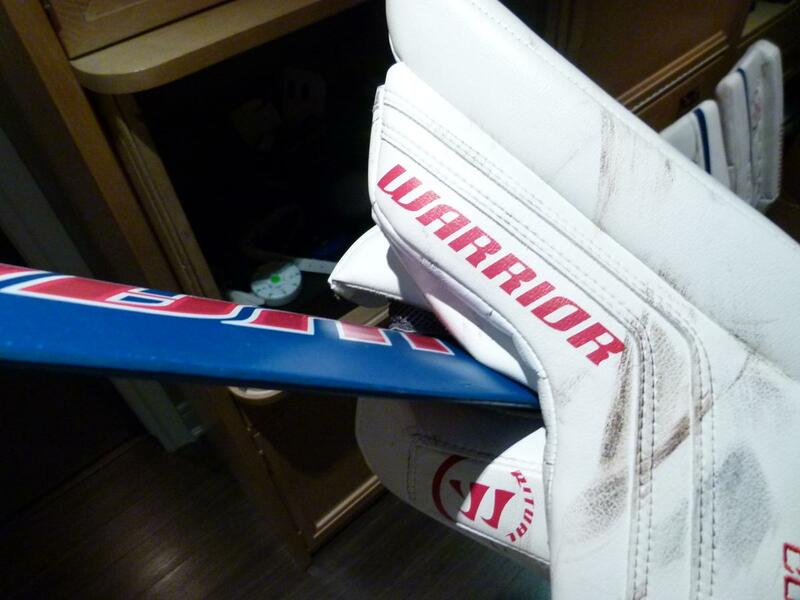 I always wanted to try Warrior Ritual G1 pads and when the G2s came out I was very interested. 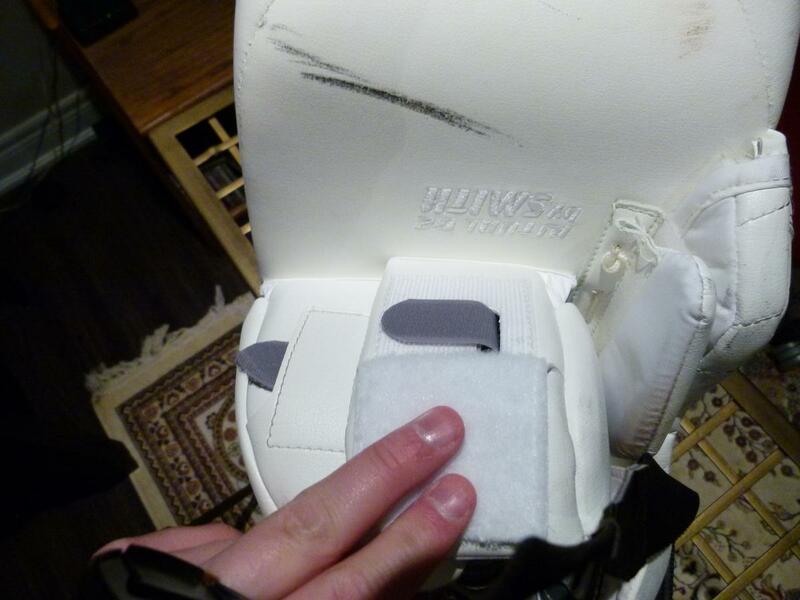 I found a pair of pro return Ritual G2s in my size with a very stiff thigh rise…they were my dream pad and were a pro return set that had to come with a blocker. 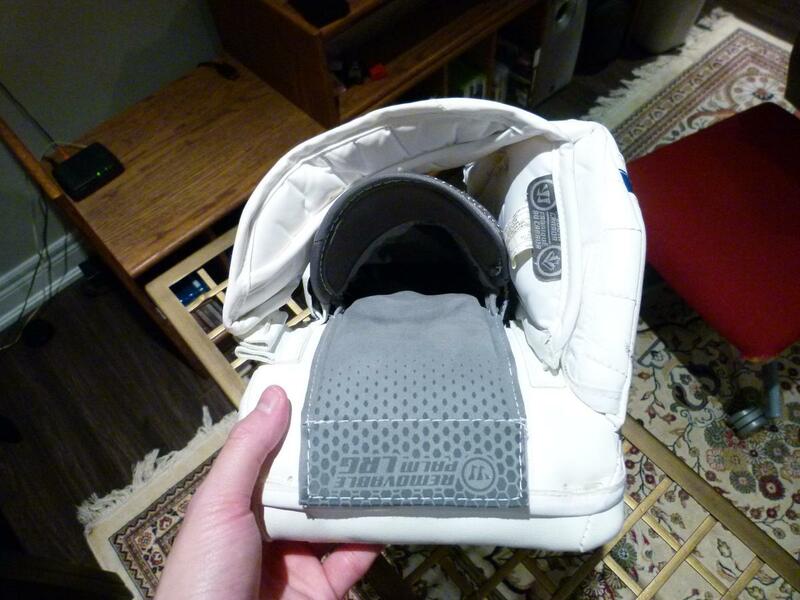 Initial Thoughts: Every time I went to a hockey story I tried on the Ritual G2 gloves. They fascinated me with their customization options and unique design. 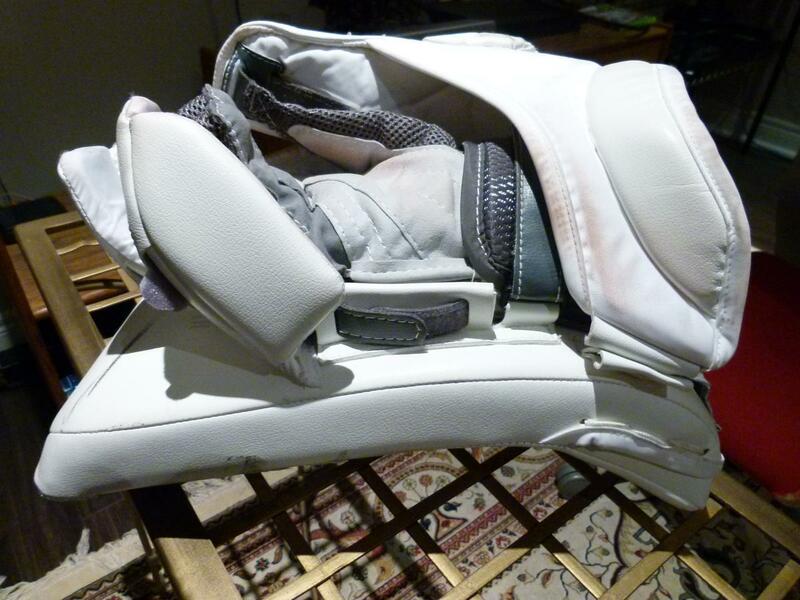 At a far glance this blocker looks pretty similar in basic shape to my old Reebok Larceny, but putting it on felt completely different, and looking closer the blocker (especially in white) had a marshmellow man look to it. I put it on instantly noticed its light weight and I felt the glove felt weird and almost unbalanced in my hand. I blame that on how light this blocker is compared to my old Reebok Larceny. Since it is a big issue for me I instantly noticed the lack of finger tip protection on the G2 blockers. 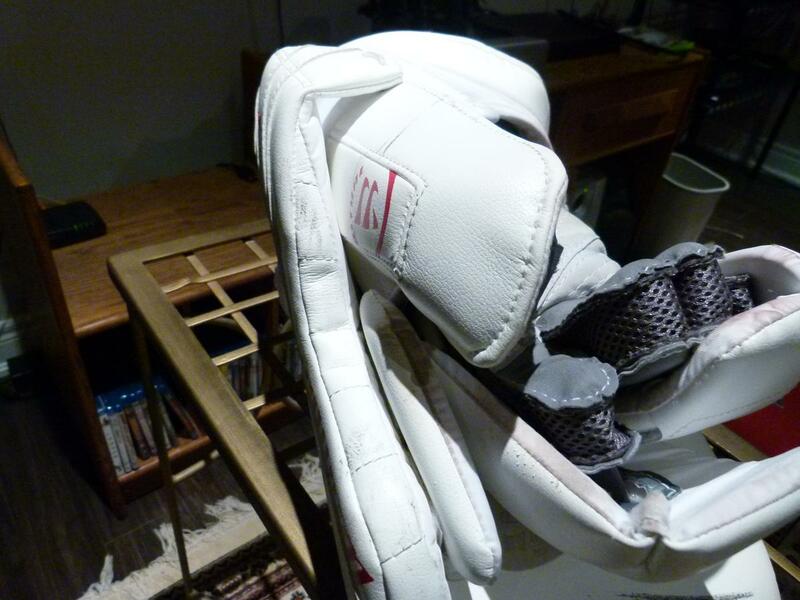 Good layering of protection to stop pucks from ramming your fingers when they ramp up the stick. Notice the lack of nylon bindings, great for durability. 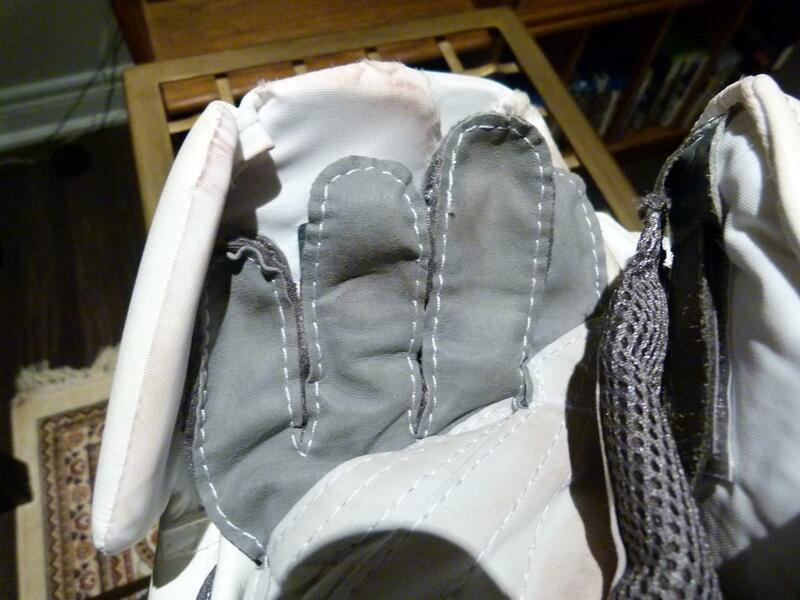 Showing the seal of the stick and the index finger protection. 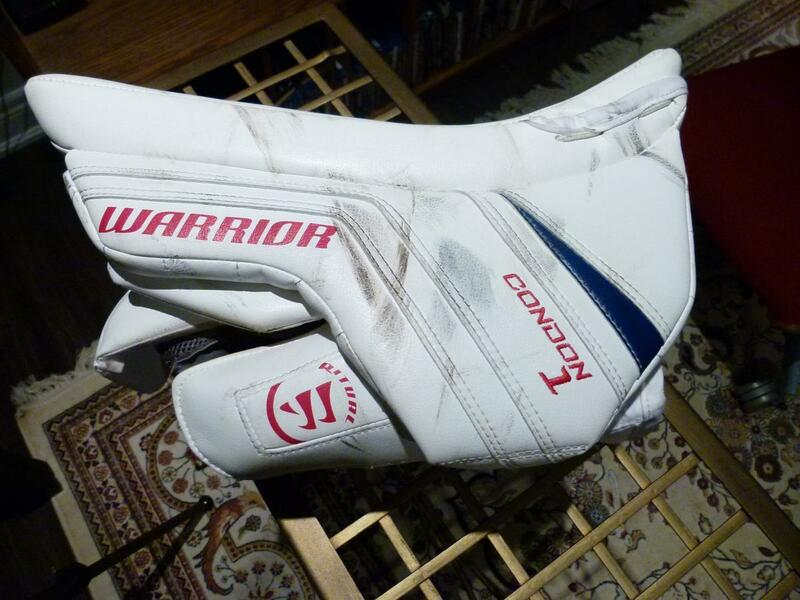 Comparisons between the Brians’ Gnetik II Pro Blocker which has the best fingertip covered I have ever seen. Brians’ pinkie is again protected better than the Warrior’s, but I have had no issues with the Warrior on the outside pinkie portion. Again showing the differences and how well the wrapping protection works on the Brians’. 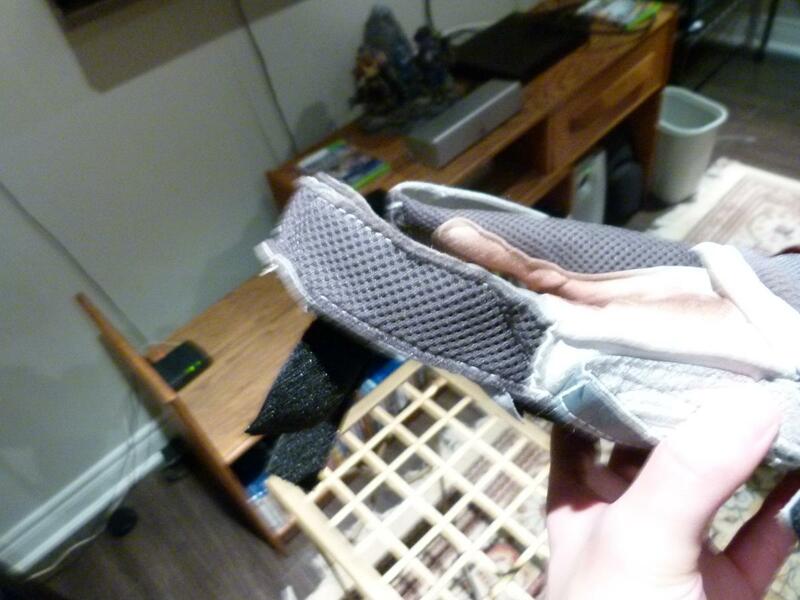 Very wide cuff with extremely comfortable back hand pillow padding. 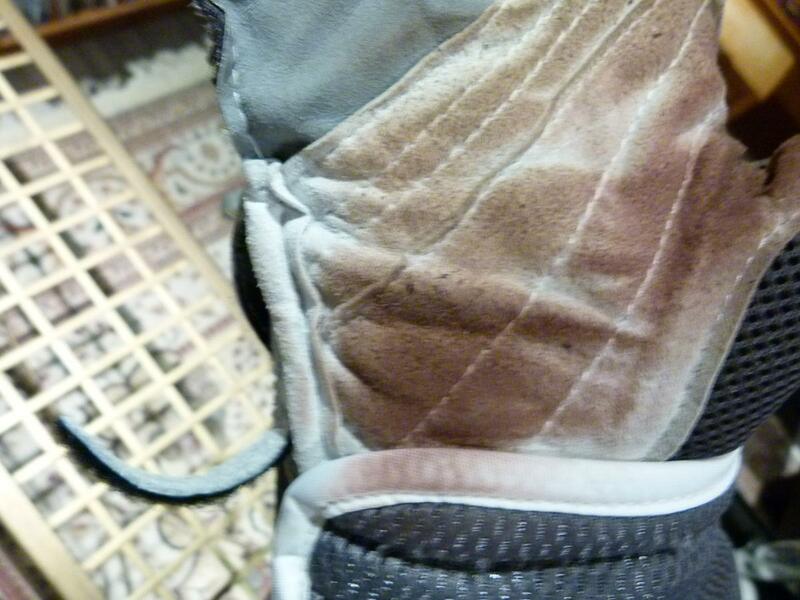 The leather material is extremely soft. 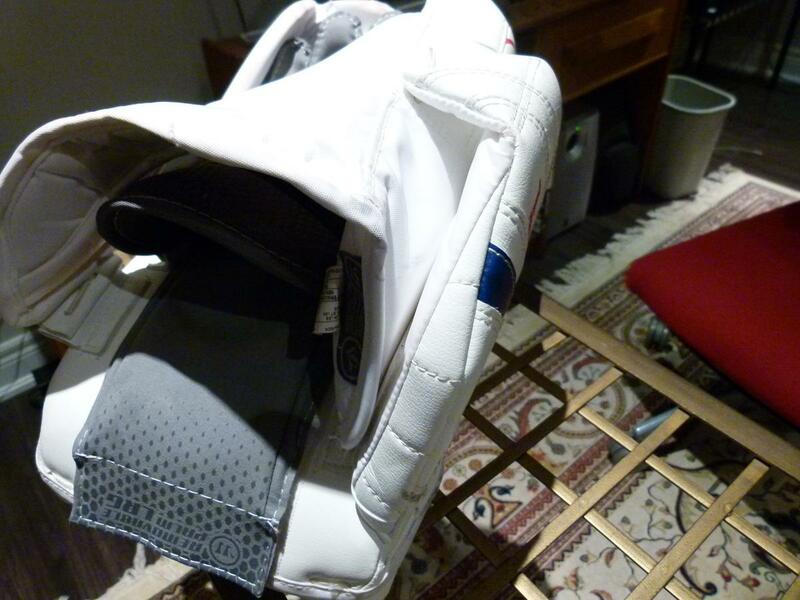 Thick side wall protection and the sidewall stays perpendicular to the blocker face through the use of velcro. Very solid and thick thumb protection while still allowing mobility. 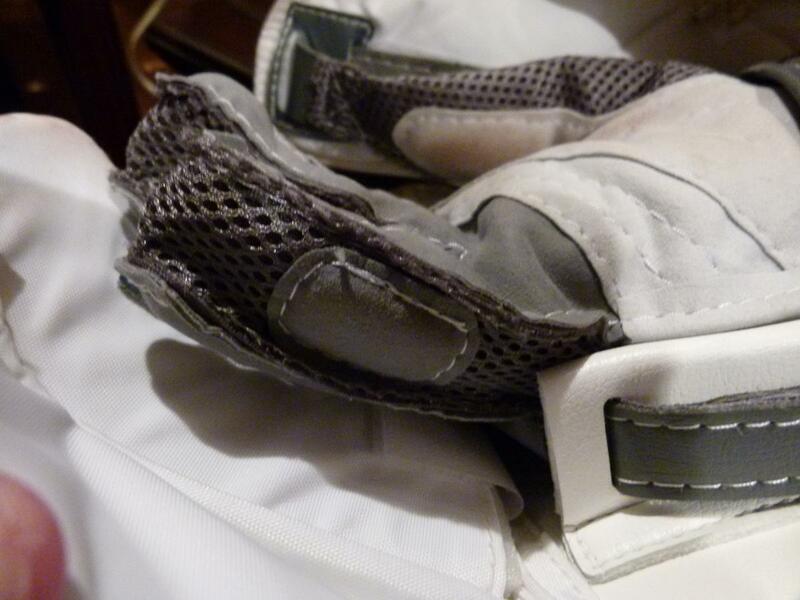 The connecting velcro that holds the blocker palm in place. 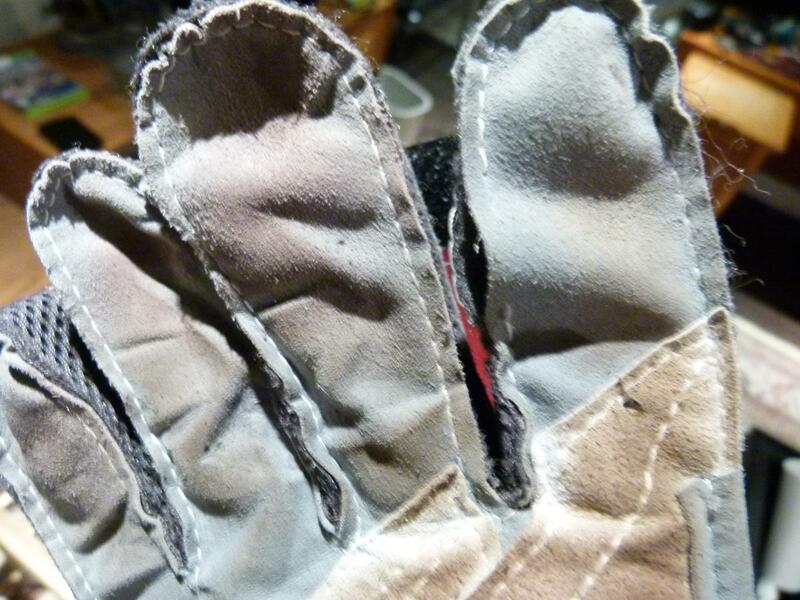 Very innovative finger protection adjustment where you can adjust how close and tight they fit to your fingers. Instead of being connected at the tip of the fingers they are attached in the very middle removing the feeling of your finger tips being pulled upwards when you close your hand. Very soft grey leathers create a very comfortable and welcoming glove. I find the grip to be good when wet and dry. The retail removable palm has extra padding pieces on the outside of index and pinkie finger. 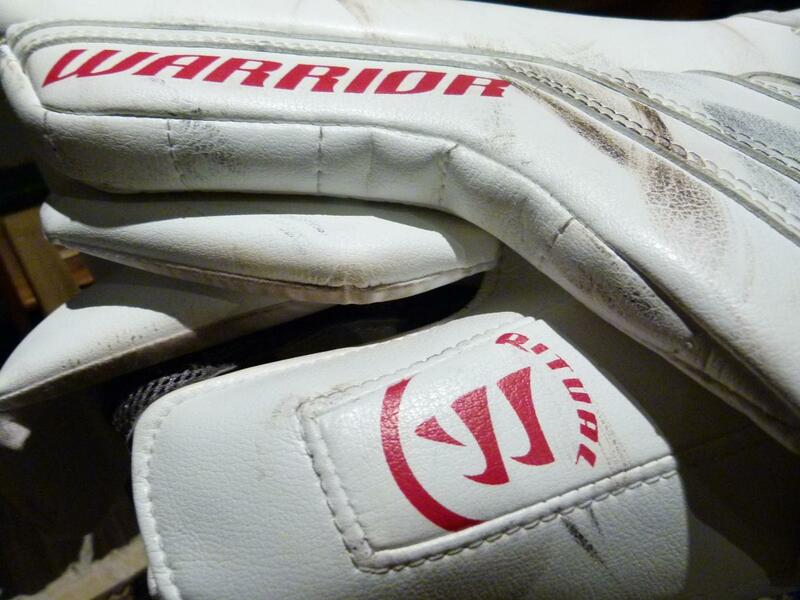 The original Pro Return removable palm. 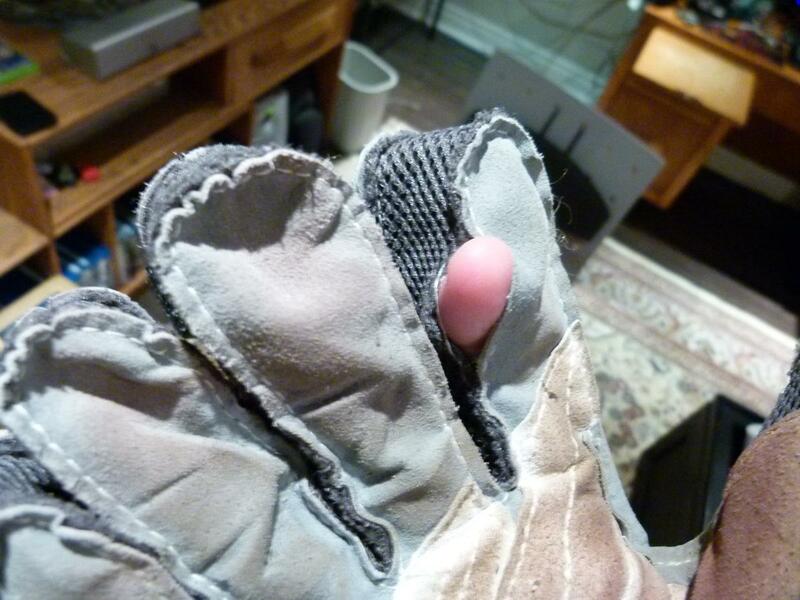 The hole in the index finger from the original glove. Little to no wear on the palm of the original palm used for 4 months.